See what's new as of July 2018! Harm Reduction Victoria's new health promotion catalogue - online now! Take a look at HRVic's new online health promotion catalogue - including a new poster on adherence to DAAs. EC Partnership currently has three pilot sites across Victoria. The Rapid-EC Pilot Study has now finished recruiting for the study. Results will be published next year. Welcoming Kico to the EC team! Our new EC nurse has joined the EC team and will be working across many Burnet Institute research studies including the EC Partnership sites. The Rapid-EC pilot study will be starting recruitment from the 26th of June at HealthWorks in Footscray. We had our training day at the Burnet with all sites' staff to learn about the OraSure point-of-care, rapid mouth swab test for HCV antibodies and the Cepheid GeneXpert point-of-care PCR test for HCV RNA. 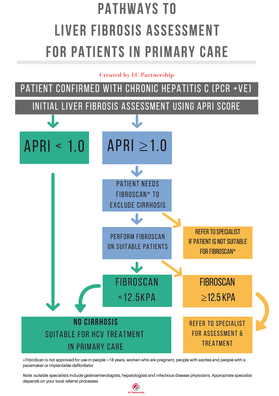 EC Parntership has developed a resource for clinicians working with patients with hepatitis C in primary care to provide guidance on how to use the APRI score and FibroScans to assess liver fibrosis in their patients and when to refer to specialist care. Also hear the latest on progress to achieving elimination within defined areas or groups: micro-elimination among people co-infected with HIV in cities; viral hepatitis as a cause of cancer; and exploring vaccines and direct-acting antivirals as cancer prevention tools. Don’t miss an update on the Burnet-led NHMRC program to eliminate hepatitis C in Australia. Join community leaders, experts and policy makers to discuss current approaches and challenges to the elimination of viral hepatitis.